It's hard to believe that two weeks ago today I was waiting in line at my local Target store eagerly awaiting the official launch Lilly Pulitzer for Target collection. Flash forward two weeks and the fashion landscape changed. As you know, items from the collaboration sold out within minutes and prices on re-sale sites like eBay offered prices that doubled or tripled the actual retail price. My friends at local Lilly Pulitzer corporate stores tell me the Target collaboration piqued the interest of so many people. Lilly lovers visited the stores in droves over the past two weeks, with lines for dressing rooms and at the cash register. While this boost in sales delights Lilly Pulitzer, others still search for coveted Lilly Pulitzer for Target items. 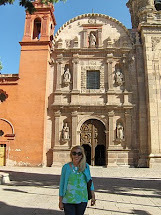 Luckily, I found a perfect substitution for one of my favorite items from the collection. 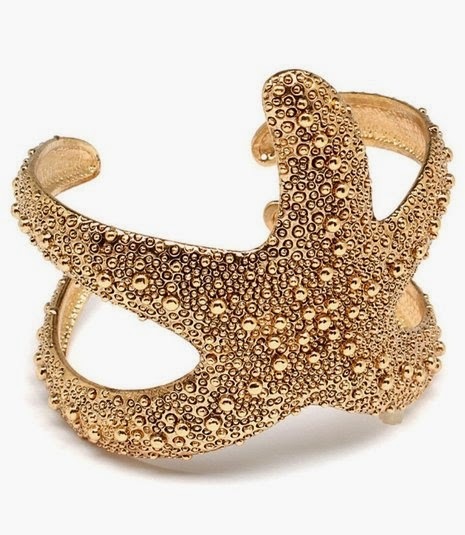 The Lilly Pulitzer for Target Women's Cuff Bracelet - Starfish - Gold is completely sold out. 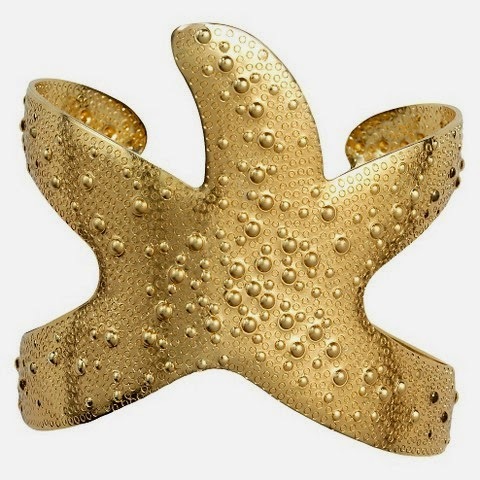 Here's a similar gold starfish cuff bracelet. Best of all, this bracelet costs less than the Lilly for Target bracelet and I like it better! Win-win!